Everything started 5 years ago. Gathering people who did not know each other, but who shared one passion, The North Face Polish Freeskiing Open (TNF PFO) was from its beginning the most important freeskiing event in Poland and Central &ndash; Eastern Europe. 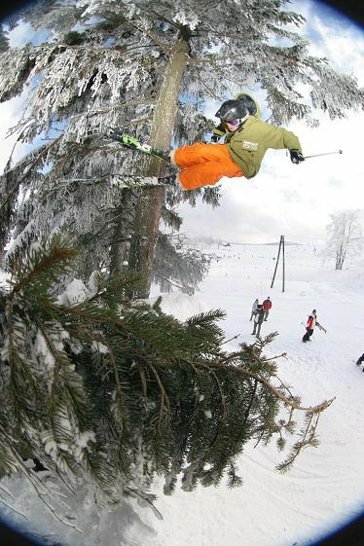 From the 25th to the 27th of January 2008 the best freeskiers from the region will compete in Zieleniec - a small, scenic village with an alpine microclimate, located in the southeast of Poland near its border with Czech Republic and Germany. 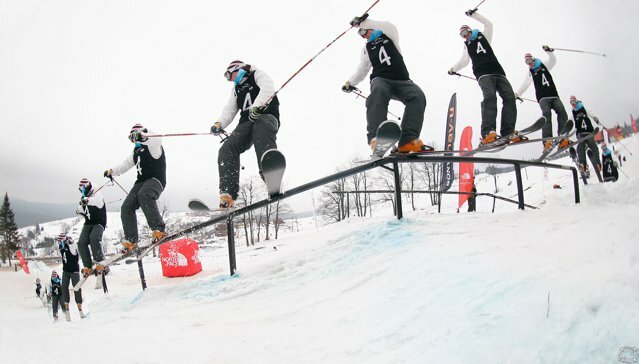 TNF PFO is the biggest freeskiing competition in this part of Europe, as well as a Championship of Poland competition. Every year improvements are made. The kickers are getting bigger, the jib park is getting filled with new features, and everything is being prepared for the outstanding tricks of the best riders. The organizer's goal is to fulfill the growing expectations and skills of skiers from the region. The Big Air Session and Jibbing Contest are still the two main categories, but as usual the best trick, the best crash and maybe the best outfit won&rsquo;t escape notice. Qualifications will be held on Friday, the main contest &ndash; semi finals and finals &ndash; the day after. These few days of TNF PFO in Zieleniec are a great occasion to win some money, get new stuff and shred in the best park in Poland - built especially for the event. It is also the only way to meet friends and the best freeskiiers from Poland, Czech and Slovakia during... the best party ever! 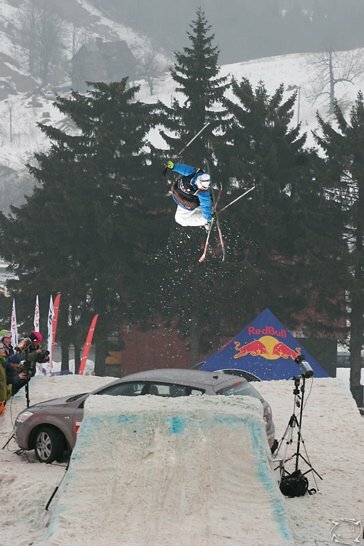 In 2006 Henrik Harlaut won Big Air with his amazing cab 1080, but he loose in rails with Paddy Graham, last year Marek Doniec was the first Polish rider to show stylish cab 1080 and get the title back to Poland, who is going to win this time&hellip;?